The Quinta do Carmo Reserva 2000 : a red wine from Alentejo produced by Soc. Agrícola Quinta do Carmo that contains syrah, grenache and cabernet sauvignon of 2000. - View: light amber tones. - Nose: Many figs, plums and black fruit on the nose, a touch of smoke. - Mouth: many plums, figs, black fruit, berries and some red cassis, a very correct aftertaste with lots of smoke and red fruits. GRAPES: Aragonez, Cabernet Sauvignon, Trincadeira. 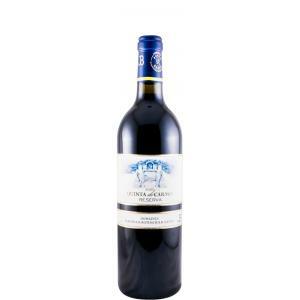 - Nose: a complex nose with aromas of red fruit, orange blossom and violet, with hints of wood. 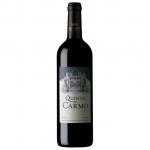 The Quinta do Carmo Reserva 2011 - Red Wine with 750ml is a Red Wine made in Portugal Alentejo. 17,5 pts Wine Mag PT - Very complex on the nose with red fruit aromas, orange flower and violets with wood nuances. 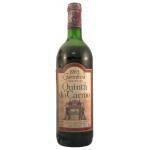 If you want to buy Quinta do Carmo Reserva 2000, at Uvinum you will find the best prices for Alentejo red wine. Purchase it at Uvinum at the best price, easy, quick and safe. We have a catalog of over 59.000 products for sale which makes us the leading marketplace for wine, beer, and spirits in Europe thanks to more than 38.000 customers enjoying Uvinum.